Protecting you and your families' rights for 20 years When you or your family is facing a daunting legal issue, you want reliable, compassionate assistance from an attorney who fierecly protects your rights. We can give that to you. Since 1994, Lightner Law Offices, PC have been representing residents in the Lehigh Valley, Pennsylvania, and surrounding areas, in general practice with a focus on bankruptcy and family law. We don't just see you as our client. We see you as an individual with a unique case. We spend time listening to you to fully understand your situation. Then we provide you with sound advice and personalized legal representation. What sets us apart from other law firms in Pennsylvania? It's easy to find a lawyer who will take on your case, charge you an exorbitantly high fee and then park your legal matters someplace on the shelf. But when you come to Lightner Law Offices, PC, expect a different level of service. We strongly believe in putting you first. We give each of our clients the following: -Unsurpassed personal attention. From the time you walk in the door until your case is closed, we are there with you every step of the way. You want an attorney who cares about you and who won't judge you. At our firm, we help people who have faced hardships or simply have made bad decisions, but are not bad people. We provide the right mix of care and compassion with aggressive advocacy. -Clear communication on your legal matters. We know the legal process can be confusing. We clearly answer any questions you may have and keep you updated on the status of your case. Cost-effective legal services. We're sensitive to your needs and your wallet. Our mission is to provide you with affordable legal services of the highest quality. General practice firm with an emphasis on bankruptcy and family law We can help you with the following legal areas: -Bankruptcy law. Attorney Thomas L. Lightner is a member of the National Association of Consumer Bankruptcy Attorneys. We handle foreclosure defense, Chapter 7 and Chapter 13 bankruptcy. Estate planning. We can help you preserve your hard-earned assets with a tailored estate plan that could include wills, trusts, powers of attorney, advance health directives and guardianships. We also help those whose loved ones have passed probate the will and resolve any probate matters that arise. -Family law. We represent clients in divorce, child custody, support and alimony, prenuptial agreements, paternity, adoption and protection from abuse. -Personal injury. We handle auto and motorcycle accidents and slip and fall accidents to get you and your family the compensation you deserve for head, brain, spinal and other serious injuries. We also represent surviving families in wrongful death claims. 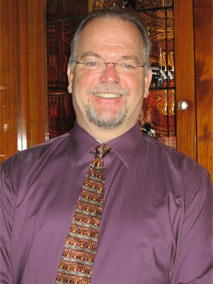 Attorney Thomas Lightner has been providing sound leagal advice at reasonable rates for 22+ years. We are a general practice with a focus on bankruptcy and family law. Please call 1-800-966-0006 for your free initial consultation. 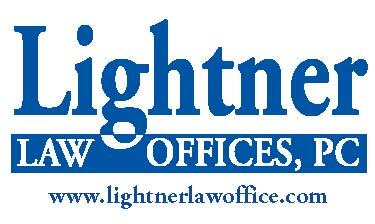 Bankruptcy law: Attorneys Thomas L. Lightner is a member of the National Association of Consumer Bankruptcy Attorneys. We handle foreclosure defense, Chapter 7 and Chapter 13 bankruptcy. Estate planning: We can help you preserve your hard-earned assets with a tailored estate plan that could include wills, trusts, powers of attorney, advance health directives and guardianships. We also help those whose loved ones have passed probate the will and resolve any probate matters that arise. Family law: We represent clients in divorce, child custody, support and alimony, prenuptial agreements, paternity, adoption and protection from abuse. Unsurpassed personal attention. From the time you walk in the door until your case is closed, we are there with you every step of the way. You want an attorney who cares about you and who won't judge you. At our firm, we help people who have faced hardships or simply have made bad decisions, but are not bad people. We provide the right mix of care and compassion with aggressive advocacy. Clear communication on your legal matters. We know the legal process can be confusing. We clearly answer any questions you may have and keep you updated on the status of your case. Cost-effective legal services. We're sensitive to your needs and your wallet. Our mission is to provide you with affordable legal services of the highest quality.